Tim Sherwood is bemused by Liverpool’s decision to loan out Nathaniel Clyne amid a barrage of defensive injuries for the club. The Englishman joined Bournemouth for the remainder of the season in January, despite the absence of both Trent Alexander-Arnold and Joe Gomez. Liverpool have been forced to play without a recognised right-back in each of their last three games, and now face a similar scenario ahead of Saturday’s meeting with Bournemouth. Whilst Alexander-Arnold is nearing his recovery from a knee issue, Gomez faces another month on the sidelines after undergoing surgery on his fractured leg. James Milner has emerged as Jurgen Klopp’s first-choice alternative at full-back, but has shown understandable frailties against quicker opponents in recent outings. Skipper Jordan Henderson also produced an admirable performance in the make-shift role against Leicester City, yet also highlighted the disruption injuries have caused at the back. 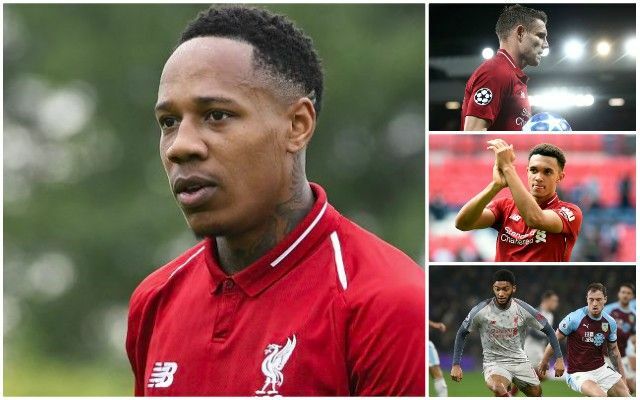 The decision to let Clyne leave is a surprising one and one the Reds must now find a way to justify over the remainder of the title race.